The “Heroic Double Issue” of Entertainment Weekly magazine arrived today, claiming to feature the “50 Most Powerful Superheroes!” Okay… Nothing gets fans going more than superhero-power comparisons. You think The Thing can beat The Hulk?!! C’mon… Anyway, EW, to their credit, didn’t just do the traditional combative power comparisons. Their “scores” had nine categories, like “Cultural Impact,” “Nemeses,” and “Personality.” The traditional measure, “Powers,” only counted 10%. So this was twist on the traditional fan stand-off: less who is toughest than who has been more influential in the past 80 years of storytelling — comics, TV, and movies. We were gratified to discover that NINE of the 50 Hall-of-Famers were from the X-Men universe, seven (Logan, Jean, Scott, Prof X, Beast, Rogue, Storm) directly from our core, nine-member X-MEN:TAS team. That’s quite a statement. Sometimes-X-Men Nightcrawler and Kitty Pryde are there as well. As a bonus, X-Men adversary Magneto was voted as the greatest super-villain of all time. Finally, nothing challenges a character like time. If he or she can find favor across generations, then there is surely something there to be treasured. It is a popular idea that the nine X-Men honorees grew, from more humble beginnings, to their fullest incarnation in the two decades after the book’s reintroduction in 1975. Thank you Len Wein and Chris Claremont, first contributors among many. 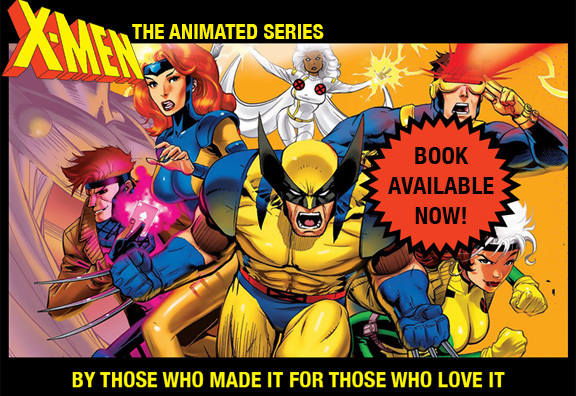 We at X-MEN:TAS hope that we were able to add to this lasting legacy.